Pinnacle Aviation was started as an aircraft sales and acquisitions company in 1988 by Curt Pavlicek, a corporate pilot with a passion for aviation. As his experience, skill and knowledge expanded, so did his interest in mastering every aspect of aircraft operations, creating the foundation of Pinnacle Aviation. A growing list of clients began turning to Pinnacle Aviation for its expertise in managing ALL aspects of their aircraft. These services expanded over the next ten years and evolved into the four companies that operate under the Pinnacle Aviation umbrella today: Aircraft Sales and Acquisitions, Aircraft Management, Aircraft Charter and Aircraft Maintenance. Pinnacle Aviation is based in Scottsdale, Arizona, and also has operations in Hawaii and California. 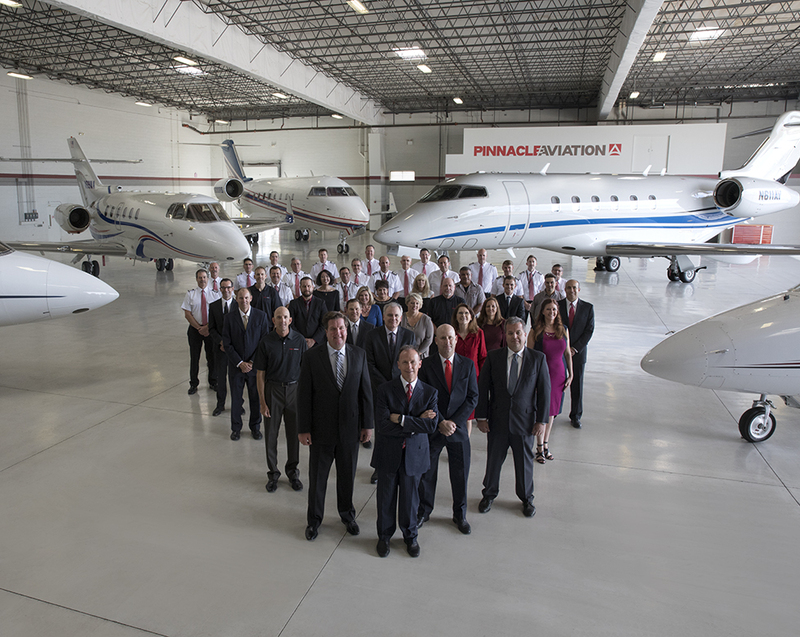 Since its first aircraft, Pinnacle Aviation has represented clients in numerous sales and acquisitions from turboprops to Boeing 737 and 757 aircraft. More than 30 years of experience gives us unique insight, experience and skill in assessing, marketing and negotiating aircraft sales and acquisitions at the highest professional level. Our aircraft management company offers a full spectrum of services that supervise and administer every facet of our clients’ aircraft, from crew staffing and maintenance services to accounting and insurance solutions. Our charter company is the largest in Arizona, providing first class charter services both domestically and internationally with an impeccable safety record that is recognized by our IS-BAO Stage 3 Registration and ARG/US Platinum and Wyvern approval ratings. Our expertise in aircraft operations and safety enables our aircraft maintenance company to go above the expected to deliver exceptional service. Our technicians average over 20 years of experience in maintaining business jets, and they are on call 24/7/365, whether clients need preventive maintenance at their home base or immediate service at a remote airport. We believe our success is due to our uncompromising standards of service, which include experience, dedication and hard work. In a competitive industry where the quest for perfection is expected, we take reliability, dependability and excellence to a higher level.